A metallised polish for extreme strength and durability coupled with ease of removability. Non-yellowing cross linked polymer film. Does not discolour even the lightest floor. Produces a deep shine with excellent slip resistance. 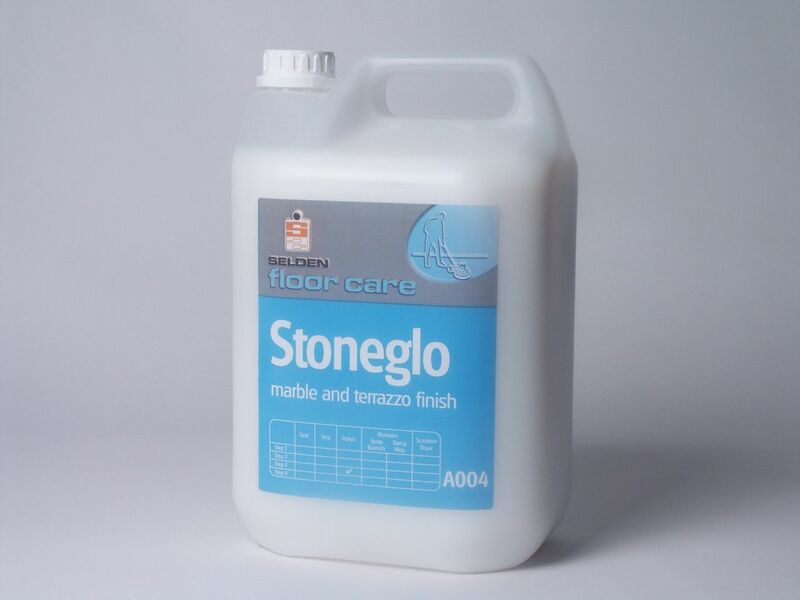 •Enhances the appearance and prolongs the life of marble and terrazzo floors. •Responds brilliantly to all spray burnishing techniques. Specially formulated for marble and terrazzo floors. 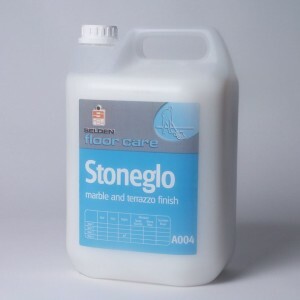 Stoneglo must be applied to a clean and grease free floor. 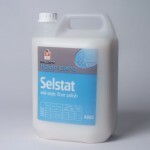 Strip old polish with Selstrip or Selate then rinse thoroughly with clean water, allow floor to dry. Apply a thin even film of Stoneglo using a clean lint free mop or applicator. Apply a second coat when the first is dry (approximately 30 mins). May be buffed as required to enhance gloss. COVERAGE: 60 square metres per litre. MAINTENANCE: Damp Mopping: As required using Lemon Floor Jell or Stonebrite. 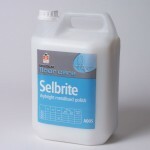 Spray cleaning/burnishing: Regular use of Selsheen will enhance appearance and life expectancy.